According to a U.S. government report, a whopping 40.4% of the U.S. workforce today is contingent. This is a 36% increase over the past decade, and includes on-call workers, agency temps, contractors, self-employed professionals, and part-time workers. And this trend is reflected on LinkedIn, where the number of contractors has grown dramatically in recent years. Now, they are one of the most active member groups on the platform. 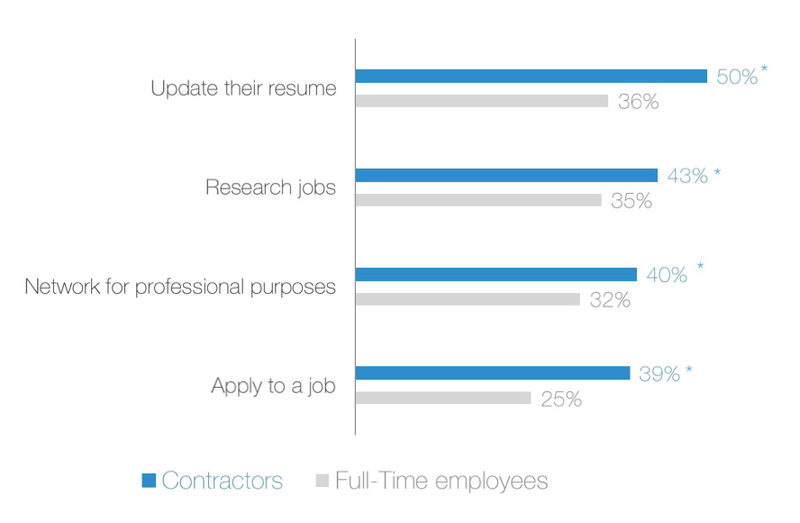 Contractors are more likely to update their resume, research jobs and network for professional purposes than full-time professionals are. 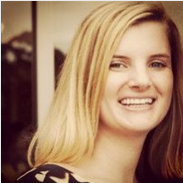 They view job searching as an ongoing journey and are actively looking for opportunities. Once they hear about a job (good news - the top way contractor's hear about jobs is via staffing firms), they head online to research the company using the company website (44%), read articles about the company online (24%), talk to employees about the job (21%), and look up employee profiles (19%). Tip: It is important for you to invest in channels where contractors are already looking for information about jobs. Make sure your firm has a well branded and maintained online presence. Just as important is ensuring your consultants keep up-to-date and engaging profiles, as it is often the first thing someone will check after you reach out to them with an opportunity. Compared to full-time professionals, contractors appear to get the raw end of the deal in a lot of job search situations. 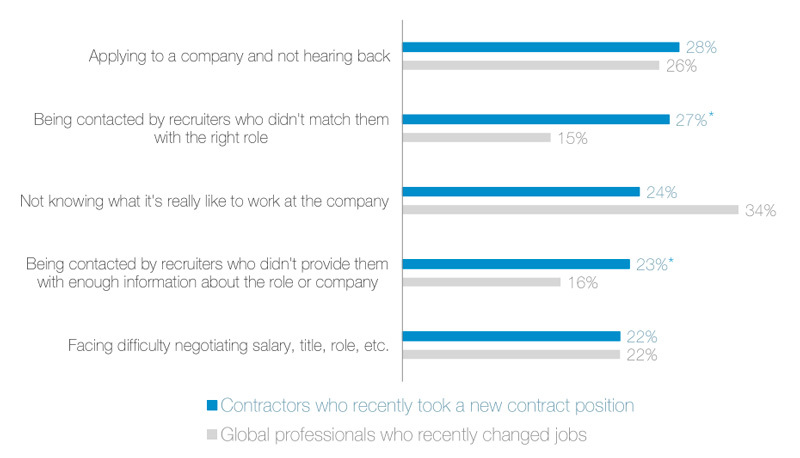 27% of contractors say they have been contacted by recruiters who didn’t match them with the right role compared to just 15% of full-time professionals. Time is of the essence during a job search, so this is a bad experience for both parties. The other stand out is being contacted by recruiters who don’t provide them with enough information about the role or the company - 23% of contractors list this as one of the top obstacles they face. Tip: Take the time to get a detailed understanding of the contractors you have on your books. This will allow you to match the right people with the right job, and save you time in the future. And, provide them with information about the role upfront so they can decide if it’s a fit for them. Contractors won’t just take any job. 30% of contractors who have recently left their company have said that they left to find more challenging work, with career advancement opportunities and unhappiness with the company’s culture the next reasons to leave. Tip: Tailor your conversations to emphasize what the job can do for the contractor, rather than solely focussing on what the contractor will be doing in the job. They want to know how the job can help transform their career. But when you talk to them about full-time opportunities, it’s important to know that they value different things than full-time workers. While both full-time and contract workers are interested in hearing about a company’s culture and values, full-time works want to know more about the perks and benefits, while contractors are more interested in the products or services. Tip: To give them a feel for your company and what you do, share employee perceptions and stories. And, arrange for candidates to speak with your client’s employees during the interview process so they can find out everything they want to know. Applying these tips to your recruitment strategy will put you in the best position to attract contractors to your roles and position your firm as the one to work with. And for more tips on hiring contract workers, you can download our 2016 Contractor and Full-time Talent Trends Report.